By Katherine McFarlane, Registered Psychologist. Starting school is a big transition not just for children but for the whole family. This article details strategies that can support your family during this transition period. Every child’s strengths and experiences are different, so you may find some strategies more relatable than others. A strengths-based approach would start by identifying what your child’s strengths are and choosing strategies to overcome their weaker areas. Helping your child developing as much independence in self-case tasks as possible can assist them in their transition to school. To help develop their independence you can practice school-related tasks at home. For example, schools often inform parents to only send food children can independently peel or unwrap packaging. A tip to develop this skill is to have picnic play time at home so they can practice opening their lunch box, peeling bananas, or opening food wrappers. If you notice your child struggles with any one of these steps, play this game regularly and give them gentle instruction. While you are practicing these skills at home, send their lunch to school with items unwrapped and fruit cut up. This will help reduce their frustration when they are in a different setting and where the teacher is unable to help each child individually. With practice your child will eventually move to being more independent. Choose shoes and clothing that enable your child to be more independent. Velcro shoes are popular and can be useful particularly for children who have dexterity issues. Many 5-year-old children are not developmentally ready or have the skills to tie laces. An Occupational Therapist can offer advice on how to develop these skills. Buying school shoes early and practicing them at home could give you child confidence before school starts. Try sitting side by side, model to your child how you tie your shoes, use different colour laces to make it easier to see where each lace goes, and even YouTube videos. Choose opportunities when your child can repeat at their own pace and avoid times when you need to leave the house quickly to avoid frustration. Following instructions involves hearing, receptive language, attention, working memory and concentration all working together. Gain their full attention before giving an instruction. If you do have ongoing concerns about your child seek support from your Paediatrician. 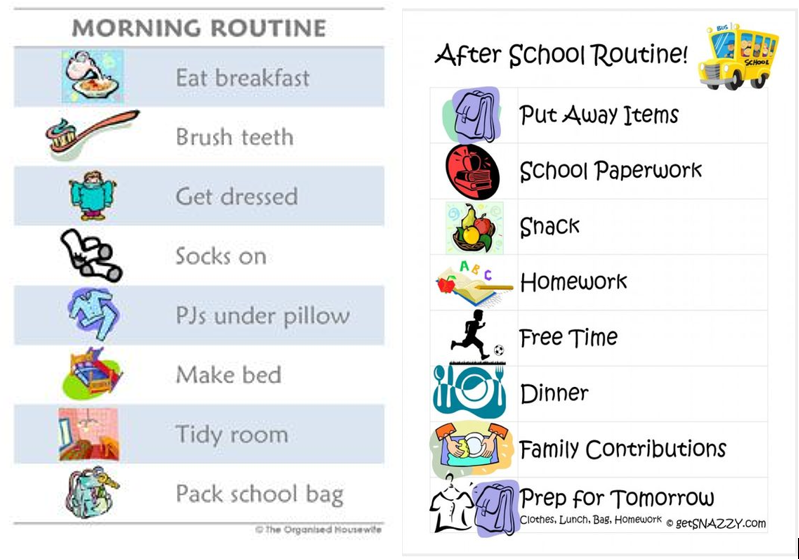 Routines enable children to understand expectations, provide reassurance, and foster independence through repetition. Routines can take weeks to settle into so consider starting a school sleep routine at least two weeks before school starts. It is recommended school aged children receive 10 hours sleep per night. To help your child get a restful night sleep encourage going to bed at the same time each night, have a predictable routine, dim or turn off lights in the house close to bedtime, and enjoy soothing activities such as books or relaxing music. It is tempting to have screen time close to bed time because it’s seen as a passive activity however screen time can impact sleep in several ways. First, the blue light from devices signals to our bodies that it is still daytime, increasing our alertness and stops the production of melatonin, the hormone that encourages sleep. Second, the content of screens is usually interesting and can excite children before bedtime. Lastly, it is very easy to keep playing or watching screens which can delay bed time. Having a routine of stopping screen time at least 30 minutes before bedtime will help your child have a rested night sleep. Routines around homework can help set expectations for the years ahead. 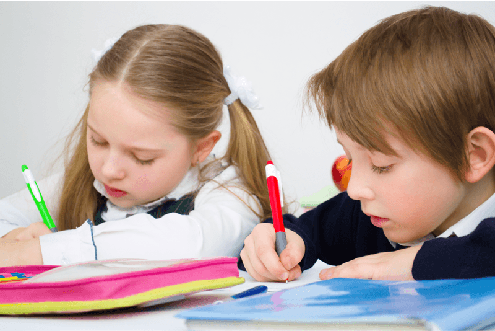 Kindergarten homework might include readers, spelling, or just colouring in but having healthy routines will teach children the skill of prioritising homework and timeliness. If you allow screen time but your child finds it difficult to regulate how long they play certain games, consider implementing a “homework before screens” rule or only allow that game on weekends. Visual checklists can be used to list items needed in their school bag or getting dressed in their uniform. This encourages independence, responsibility, and following procedures. An extra trick is to laminate or put the checklist in a plastic sleeve, so they can check it off each day with a whiteboard marker. Very soon they will remember each step and rely less on the visuals. Most children find having a combined visual and auditory learning style more useful than just auditory. Here are two examples of routines with pictures to help children learning to read. Explain specifically what will happen at drop off. For example, “We’ll go to your class, put your school bag away, I’ll give you a hug goodbye and you can play with your friends until the bell rings”. Try to say goodbye quickly and then leave promptly. Start talking now about what happens at school. Quite often we say general things such as “you’ll love school, it is so much fun” but this doesn’t set up realistic expectations for what happens on a day to day basis. Instead, describe specific events or routines to build familiarity e.g. “At assemblies the whole school goes into the hall and listens to what happened during the week”. Use positive talk when discussing school. When you notice your child is worried, identify the emotion and give them a positive way of managing their feelings e.g. “I can see you are worrying about school today. When I worry about things, I like to take deep breaths or talk to someone about it”. Role play with your child how to ask for help, practicing their teacher’s name, and putting their hand up in class. This will help them in the moment communicate their needs. Role play how to ask others to play and practice friendship skills when things go wrong. If your child starts to have poor sleep, headaches, stomach aches, or refuses to go to school it may be helpful to see your Paediatrician for support. Orientation days and information nights will provide important information such as uniform, classes, supplies needed, and tours of the school grounds. You can organise with your school to attend additional orientation days or tours especially if they have anxiety or have trouble adjusting to change. In my experience schools have appreciated being informed of potential adjustment issues and have provided additional support prior to school commencing. It can be helpful to have a few practice drives to the new school to time morning traffic and to familiarise your child with the school. If you do have concerns once your child starts school, try to address it early on. 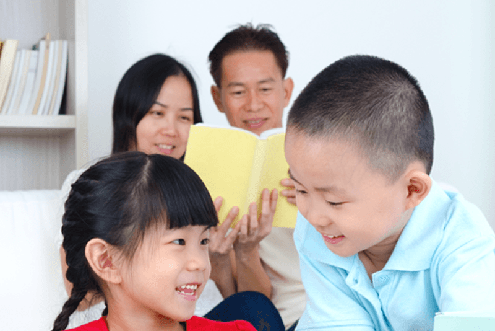 Good communication between home and school can often reduce emotions and provide a solution quickly. An approach I find helpful is to see it as school-home-child working together towards a solution rather than automatically seeing any party at fault. Approaching a concern with “I’ve noticed that Thomas is struggling with this. Is there anything we can do at home to support what you are doing in the classroom?” Do check the best method of communication the teachers prefer. A face-to-face meeting, online portal, or email is often preferred by schools. Teachers are usually busy at beginning and end of school with monitoring children and are not available to discuss issues. It also helps to maintain your child’s dignity if you do not discuss concerns openly where other parents and kids can hear. Remember that the school is a huge resource and will have experience dealing with many of the problems that you may experience. It can help foster your family’s relationship with the school by being involved in the extra-curricular activities. Everyone has different skills, resources and time availability. Some people enjoy volunteering in the canteen, reading in the class, or fundraising projects. However small contribution you make will tell your child that the school is a community of people working together supporting the students. Finally, it’s not just an opportunity for your child to make new friends! Chances are you will make new friendships with other parents who will share similar joys, concerns, struggles, and parenting issues. Just as the school is an amazing resource, the parent body are a great support system too. First day of school is a big day for you too. It is common to feel emotional and even have a little cry. Some people will like a busy day to keep their mind preoccupied until pick up time. Others will prefer a soothing activity like getting a tea or coffee or catching up with a friend helpful. Either way, try giving yourself a little self-care during this transition period to help make it a smoother experience that you can look back on and cherish.